Ernest Arthur Harfield was born in England. He arrived in Canada with several siblings and farmed in the Thamesford area. He signed up in 1916 in Ingersoll for the168th Canadian Infantry Battalion. While at Camp Borden in October more than 450 men deliberately overstayed their embarkation leave to protest the fact that only five days were granted. He appears to have been one of the conscientious few who returned from leave on time. Their battalion sailed for England November 1, 1916 on the SS Lapland and arrived on November 11. Harfield was promptly transferred to the 39th Reserve Battalion at West Sandling December 5 and then to the 6th Reserve Battalion at Shorncliffe January 4, 1917. He crossed the English Channel February 2 with the 18th Canadian Infantry Battalion then serving in France with the 4th Infantry Brigade in the 2nd Canadian Division. After a brief stay at the Canadian Base Depot at Le Havre, he was sent to the 2nd Entrenching Battalion on February 24,1917. 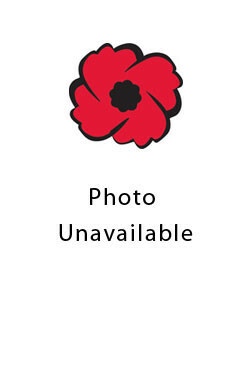 On March5, Private Harfield was transferred to the 21st Canadian Infantry Battalion then serving in the Vimy sector. A month later they attacked Vimy Ridge on April 9,1917. The 21st Battalion was required to capture Hill 135 on the south part of the ridge about 2000 yards from the start line. To reach Hill 135, they had to cross the Lens-Arras highway; a risky proposition since the open road was in fact a killing zone dominated by German support trenches. Casualties were inevitable. Harfield was shot through the chest by a German sniper while trying to get across the highway and he died almost immediately. He is buried at Nine Elms Military Cemetery near Thelus, France. He was predeceased by his mother and survived by his brother, GF Harfield and sisters Ethel Probert of 313 Lauder Avenur, Toronto, Ontario and Florence Harfield of 383 Lauder Avenue, Toronto, Ontario, Canada. -- Courtesy of St. Marys Journal Argus.